Our removal company in Crouch End, N8 is different from other removal firms because we take such care over the service we give in making sure your removal is the best possible. From our initial removals assessment service, where we make sure you get the very best removal deal possible, to the actual removing day where the professionalism and expertise of our removal men is a joy to behold, Moving Service is the moving firm to hire. Whether it’s a relatively small move, for instance from a studio apartment within the local area, or whether you’re moving abroad and you need a moving company in N8 area that has many years of experience, you’ve come to the right place. Our removal crew is renowned for being the best in the business and it makes such a difference when it comes to things like loading and unloading, to have this level of expertise. Although we’ve helped a lot of people move home as well as businesses relocate, we treat every new client's home move as a new challenge we aim to meet. We understand as well, that when you’re looking for a better removal firm, you want the services be at affordable price. You’ll certainly get that with us low prices have become our trademark. Call us now on 020 8746 4402 and you can hear immediately just why we are so popular. The area is situated in the North London borough of Haringey. It has a number of well-known areas surrounding it including Finsbury Park, Wood Green, Highgate, Archway and Muswell Hill. It has many areas of natural beauty with Highgate Wood and Queen's Wood as well as Alexandra Park and Finsbury Park nearby. Parkland Walk is a designated nature reserve, four and a half miles long which connects the two parks. Crouch Hill Park, Priory Park and Stationer's Park are also nearby. Most of present day area was built in the late nineteenth century. It became a prosperous area and to this day is a desirable place to live for many. It's known as a spot which is quite creative and it's estimated that around forty percent of its residents are involved in the creative industries. Crouch End Broadway, the main thoroughfare, is known for its cafes whilst the most well-known local landmark, the Clock Tower built in 1895 on the Broadway, is a popular meeting point. The area has three state secondary schools, Highgate Wood School, Hornsey School for Girls and Greig City Academy as well as Independent schools in the vicinity. To have that removals day that goes without a hitch, you have to take care of many things. Apart from hiring our removal firm for transporting your belongings and household contents to your new address, it can be such a help hiring us in many other ways, too. For instance, we have a wonderful packing and unpacking service which is available at an amazing price. If you ever find you run out of packing supplies or packaging materials then there’s no need to shop elsewhere because we have everything you need all in one place. As part of our dedication to making you having a better relocation experience in Crouch End, N8 , we even have a service to clear up any mess or untidiness after your move in your new home. We are a moving firm that takes care of the small details as well as making sure the important details are carried out correctly. 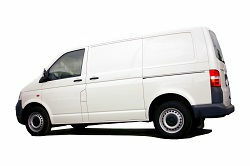 Our removal vans have GPS and lifts, and even if it’s just our man and van service across Crouch End you want, you will be delighted at the quality of van as well as professionalism of man you are hiring. We at Moving Service would be delighted to be your removals company. Call us now on 020 8746 4402 and let us know what we can do for you. I'm in Crouch End and all I have to say is... Thanks so much! Wow! Awesome moving company!